The system allows in-situ alignment (including IR alignment) with 1 micron accuracy of samples in the same chamber as bonding is performed. The system allows inspection of the alignment fiducials when samples are heated to confirm alignment immediately prior to bonding, to eliminate inaccuracies due to thermal expansion and mismatch between wafers, machine parts and platens. 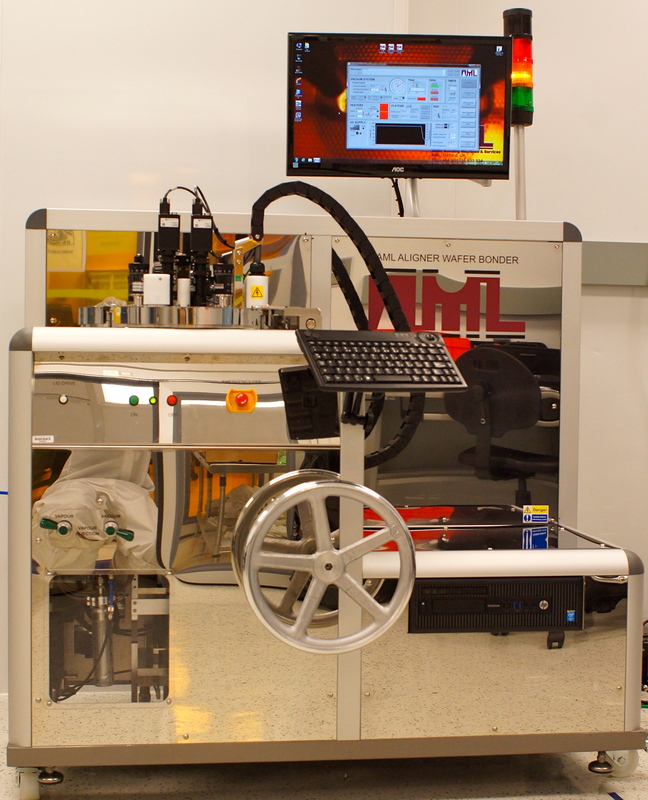 The system also allows the user to perform in-situ chemistry on the wafer surfaces in the bonding chamber. The system allows independent heating of top and bottom wafers up to 500 ºC. Wafer Bonder AML-AWB capabilities: Anodic, Polymer/Adhesive, Eutectic, Thermocompression, Glass frit, Direct and solder bonding.